This year's XMas is very simple. No big gameplay requirements, just one command to receive rewards. This year you can get rewards from an Advent Calendar! Type /xmas to open the calendar. Blue squares are ready to be clicked. Red squares cannot be clicked yet, and green have already been clicked. One new slot will become available each day up to the 25th. You can claim previous days rewards at any time, but if you claim rewards on the correct day, you will receive a bonus reward as well! Rewards get better the closer to XMas. 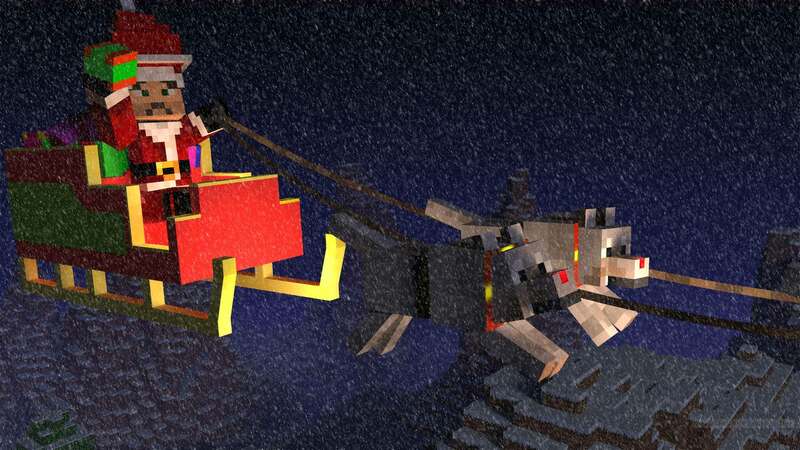 Rewards include: Red chat name, green tag, infinite snowball, snowman spawner, invis cloak, a new card, old xmas cards, holiday gear, premium keys, lots of th keys, lots of cash books, lots of booster packs, lots of RP. Make sure you collect every day to get the bonus rewards. 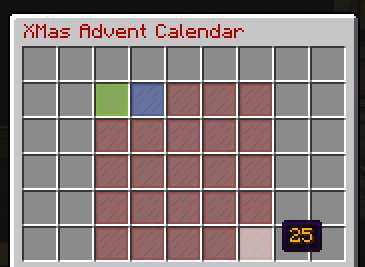 The advent calendar will be removed on the 27th.